Romanian Delia Fril (18) has won an expensive car in an advertising campaign. Together with her parents she travels to Bucharest, where the company wants to shoot an advertising video with her on a big square in the middle of the city. Delia spends the day sitting in the car, drinking juice and thanking the company in front of the camera. During the breaks, Delia has long discussions with her parents. She wants to keep the car for herself, while her parents want to sell it to escape poverty. While the argument becomes more heated, the video shoot gets ever more stupid and absurd. 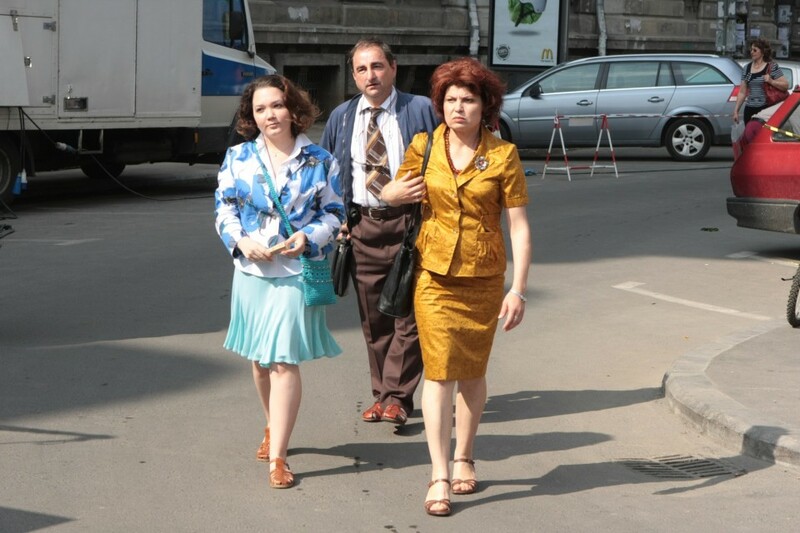 Andreea Bosneag, Vasile Muraru, Violeta Haret and others. The film was made with the support of Romanian CNC,TVR, Media Planning Group, Hubert Bals Fund of Rotterdam Film Festival, NHK / Sundance Award, Media Programme of the European Union and with the participation of HBO Romania. Toronto IFF CA, London FF GB, Vancouver IFF CA, Warsaw FF PL, Leeds IFF GB, Thessaloniki IFF GR, Göteborg IFF SE, Hong Kong IFF CN, Buenos Aires IFIC AR.